I was so excited to be one of the first to receive Harmony Box’s first shipments of their yoga and wellness subscription box. Harmony Box is a Canadian premier yoga and wellness subscription box providing subscribers with a monthly dose of tranquility. 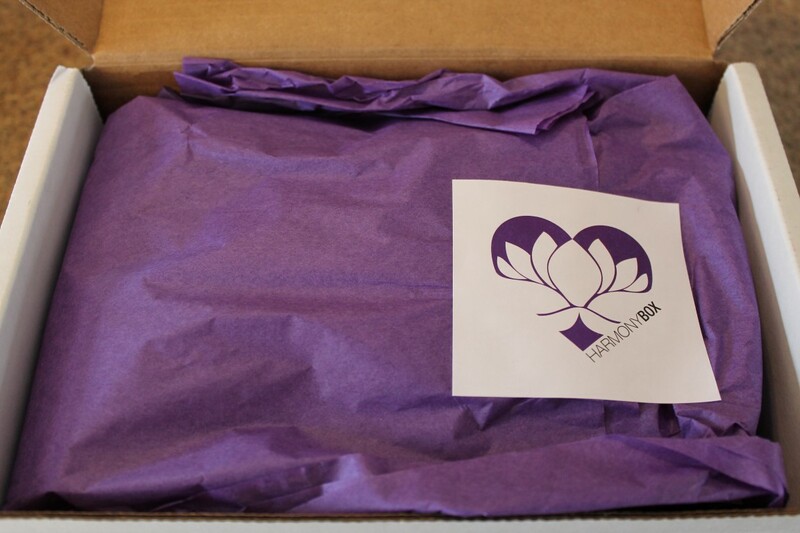 Each month, subscribers will receive a box delivered to their door filled with one of a kind products for lovers of all things yoga, health, and wellness. Since the majority of online subscription boxes are American, it’s difficult for Canadians to take part due to the high costs for shipping to Canada (in addition to the subscription costs). Viola!–Harmony Box was born. Not only is Harmony Box Canadian, they have made it their goal to support Canadian companies whenever possible, while providing the highest quality of products in each box. It’s a great way for subscribers to be introduced to new and unique Canadian companies and their products, while proving authentic publicity for artisans as well. Their aim is to provide a service to likeminded Canadians who are interested in enhancing their healthy lifestyle with uniquely Canadian products. 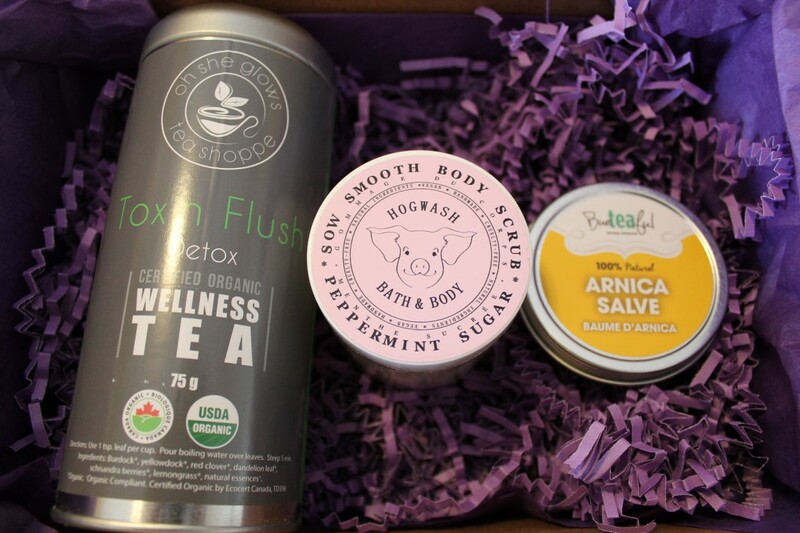 When I found out about Harmony Box from Bueteaful, a local artisan in my area, I was curious by the idea, as I try my best to support Canadian companies and local businesses. 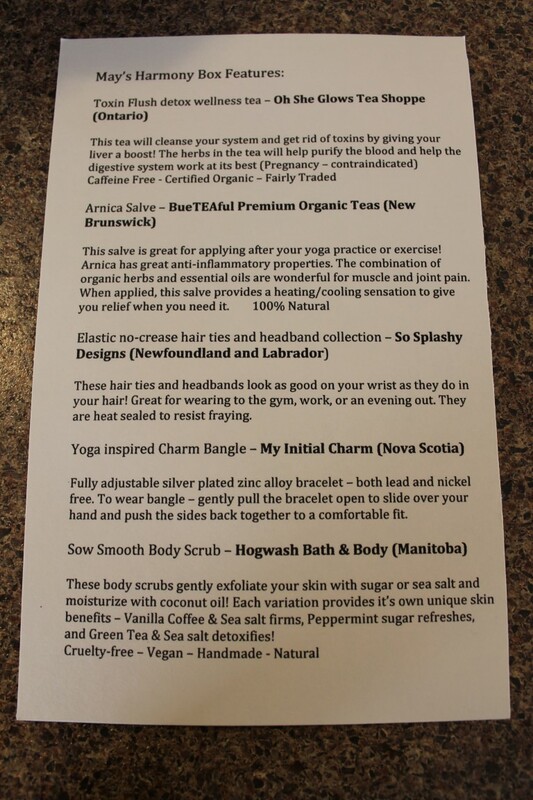 I was excited to find out that local New Brunswick company Bueteaful would include some of their products in Harmony Box’s first May shipment. If you’re anything like me, I love receiving things in the mail; so the idea of receiving a box full of 4-6 curated yoga and wellness inspired products that show up at your doorstep each month sounded ingenious. Not only that, the items included in each box will be a surprise until the box arrives at your door. Who doesn’t love surprises? Harmony Box gives examples of items which might be included in the box like yoga apparel, yoga props, healthy snacks, skin and beauty products, candles, jewelry, etc…, while leaving some element of surprise. If you follow Harmony Box on their social media sites you will notice that they offer up sneak peeks of what will be included in the coming month. I love surprises! Depending on how many months you want to subscribe for (1 month to 6 months at a time), the subscription gets cheaper the longer you’d like to subscribe. As a commitment to subscribers, Harmony Box is dedicated to sending out Canadian-made products, 100% vegetarian products, socially responsible products, products that are not tested on animals, and products that will enhance your healthy lifestyle. From the perspective of someone who is concerned with their health and wellness, I’m always interested to learn about new products that will make my life easier. 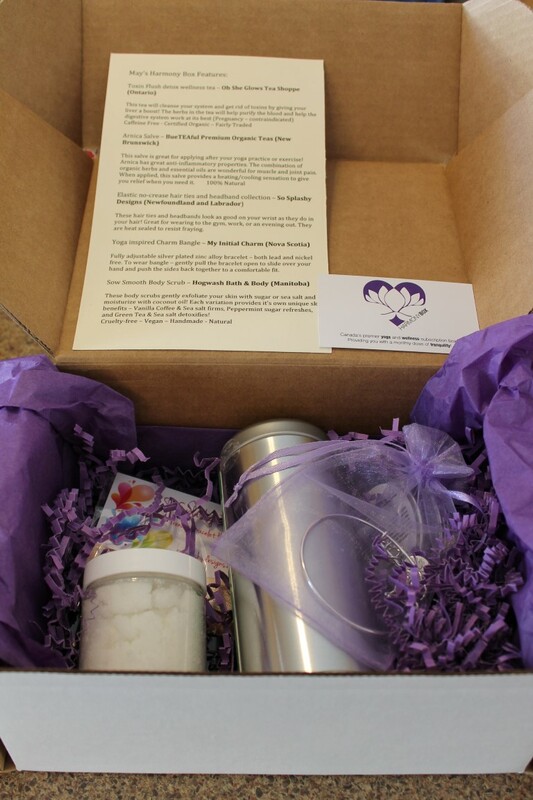 The only product I had heard of in the Harmony Box was the Bueteaful Arnica Salve. I was excited to try out new products from Canadian companies that I hadn’t heard of before. My fiancé was also really interested in the concept and was taking a look with me as I pulled out each item from the pretty purple lined subscription box. I’m excited to try every product! Since receiving the box, I’ve been wearing the yoga inspired charm bracelet every day and have received so many compliments. I love wearing bracelets, however, typically they are so heavy that I don’t enjoy wearing them. 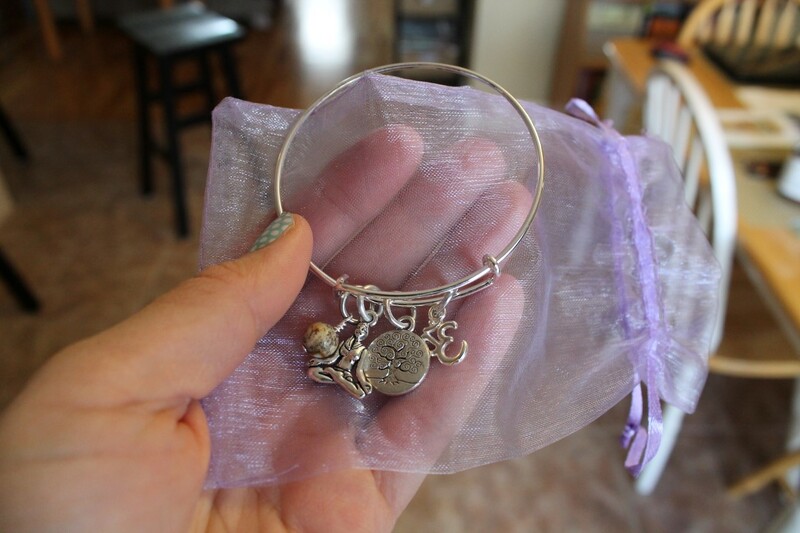 Yet, My Initial Charm bracelet is so light it doesn’t feel like I’m wearing anything at all on my wrist. I’ve also tried out the So Splashy head band and hair elastics and they’re some of the best that I’ve every tried. Next up will be Hogwash Bath & Body peppermint sugar scrub and Oh She Glows Tea Shoppe Toxin Flush detox tea when I am in need of some at home pampering. I wonder what will be in their June box! 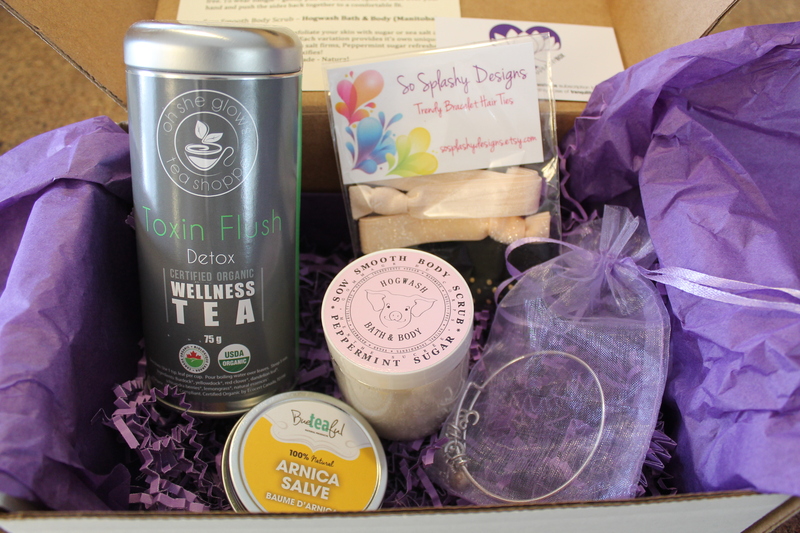 News Just In- Harmony Box is now offering a mini box featuring 3 of the 4-6 featured items (@ $29.95/each) in addition to the regular Harmony Box monthly subscription. This entry was posted in Lifestyle, Reviews, Yoga and tagged Fitness, Harmony Box, Harmony Box Canada, HarmonyBox, Lifestyle, Subscription Box, Turquoise Compass, Wellness, Yoga by Turquoise Compass. Bookmark the permalink.